Memorial Day is a time for honoring our fallen soldiers as well as giving condolences and thanks to their families. It is also a time when many folks like to go out to eat and have a few drinks. This makes for a very lucrative opportunity for restaurant owners and offers a chance for you to give back. 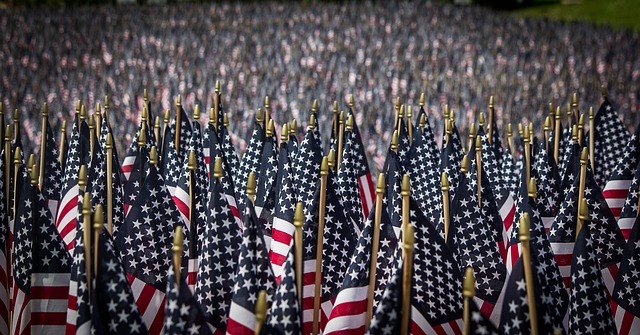 Here are just a few ways to make your Memorial Day celebration a success. Decorating your restaurant with American flags and banners is a great way to bring a festive atmosphere and let everyone know that you’re celebrating. You can take it a step further by providing decorative glasses, silverware and linens to bring everything together. Offering specials to veterans, active soldiers and the families of those who have lost a loved one is a great way to draw in a crowd and say thank you for their service. Make this an easy process and don’t deny anyone who requests a discount. The amount of money lost on a particular sale does far less damage than the negative PR of a confrontation. Memorial Day is the perfect time to unveil your updated summer menu and test out some of your new creations. With a potentially large crowd to cater to it will provide an excellent opportunity to receive feedback on your changes. You can even hold a contest or drawing for those that submit reviews with a variety of winners and prizes. Including a small giveaway for each of your customers will make their time spent at your restaurant memorable. Include something useful or wearable that is within the Memorial Day them and branded with your company name. Pint glasses, T-shirts, coasters and key chains are fairly inexpensive if purchased in bulk. Make sure your merchandise is high quality and worth keeping/using. Booking great entertainment will highly impact the success of your event. Booking musicians and other acts in advance is important in the organization of your event. You’ll want to look into a variety of acts to satisfy a broad range of your target audience. You’ll also want to include something for kids and families during the day. Holding competitions such as eating or dancing contests is a great way to keep the fun going and encourage audience participation. Without proper promotion your event could fall flat. It’s important that you use all of your marketing channels to promote your event. Social media is a great way to get the word out. You can post the different entertainers and food offerings you’ll have at your event. Posting pictures from previous events is also a great way to draw in customers. Fliers can be very effective if distributed in the right areas.